Where in the world is Airlie Beach? Okay, so most people have heard of this beautiful seaside town called Airlie Beach. But for many they actually have no idea where this little pocket of paradise is located. Technically speaking, Airlie Beach is 1,893 km north of the Sydney Harbour bridge, 2,463 km north west of Flinders Street station, 2,750 km west of Ayers Rock and 744 km south of the Daintree. Now that’s sorted, we all know whereabouts Airlie Beach is right? No, not really. Well, surely you would have heard of the tropical paradise named the Whitsundays? Great, well Airlie Beach is smack bang in the middle of it. In fact, Airlie, as the locals refer to it, is the very heart of the Whitsundays. Haven’t heard of Airlie Beach in the Whitsundays or not sure where this magical stretch of coastline is located. Let’s get this straight… It is not near the Gold Coast, or just up the road from the Sunshine Coast and we are not a short drive from Cairns, our closest neighbouring cities are Mackay and Townsville. In fact the Whitsundays is pretty much right in the middle of the Queensland coastline. To put it into perspective it is a 2 hour flight North of Brisbane, 2 hour flight South of Cairns, a 2.5 hour flight from Sydney and just over 3 hours from Melbourne. Check out the map below to see exactly where we are on the Queensland coast. A gateway to the Whitsunday Islands. Airlie Beach is often referred to as the gateway to the Whitsunday Islands as many of the tours to explore the surrounding islands depart form the two tourist ports in town, the Port of Airlie and Abell Point Marina. Visitors will be hard pushed to find a tour or trip on the water that doesn’t exist! Think tall ship sailing adventures, lazy catamarans, snorkelling tours and for the thrill seekers, sea kayaking, jet ski and even jet boat safaris! The Port of Airlie also acts as the towns main connection terminal for visitors to the main islands. Check in here to enjoy a day cruise to Daydream Island or pick up your transfer to the Hamilton Island Airport. You would be forgiven in thinking that Airlie is just a transit stop on your way to explore the alluring islands of the Whitsundays. This is, however, a common mistake and many people do not realise the great variety that the township and the surrounding areas have to offer. For the adventurous out there, dare to take part in a crocodile safari, take a dip at Cedar Creek Falls or hike one of the several magnificent bush walks; we can promise that you will not be disappointed by the views! 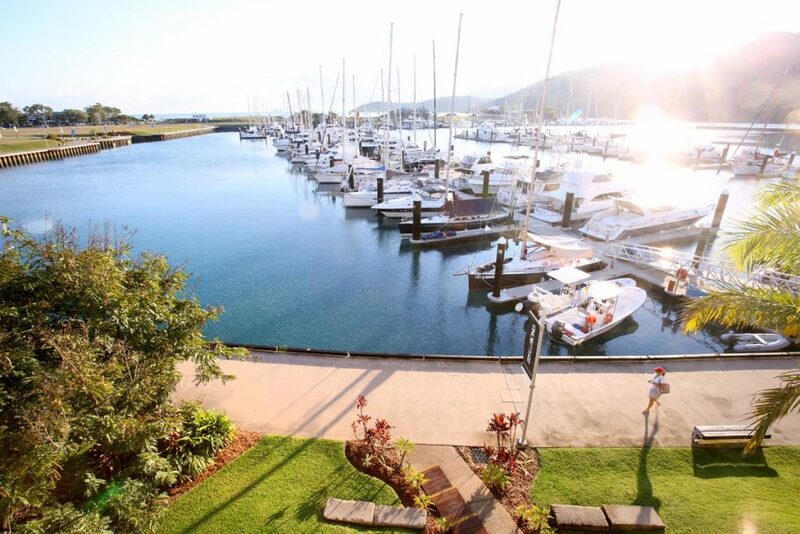 For those looking for a more relaxed atmosphere, Airlie boasts its very own lagoon with views over the coral sea ahead, whilst remaining at very close proximity to shops, restaurants and cafés. A day spent at the lagoon is a must for locals and visitors alike. 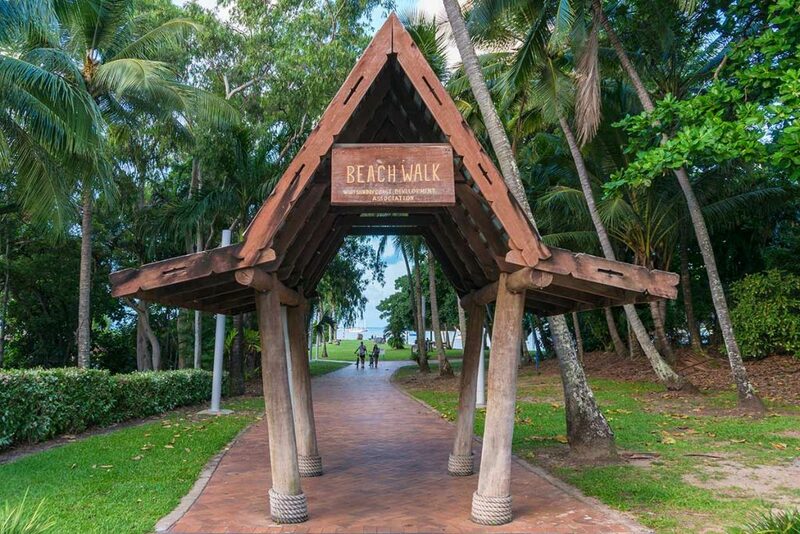 And when you are done exploring, don’t forget to take a stroll down the mainstream of Airlie beach to check out the many boutique shops and café bars. When it is time to rest your head after all of the excitement of the day, there are abundant accomodation options to choose from. There is truly something to fit every budget; from caravan parks to luxury 5* resorts, you will find it all in our cheeky town. Not ready for bed yet? Hit the town and dance the night away in one of the many pubs and clubs or sit back and listen to one of the live music acts performing every night. With visitors arriving here everyday from all four corners of the world, it is amazing how homely Airlie Beach feels; the locals will always endeavour to give you their warm Whitsunday welcome! OK, sounds great! But how do I get there? We are so lucky in Airlie beach to have not one, but two regional airports on our doorstep. 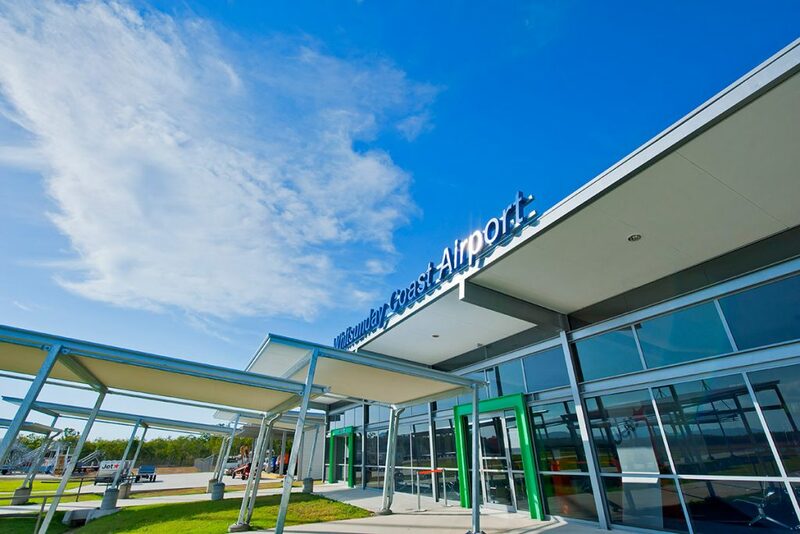 Whitsunday Coast Airport is a short 30 minute drive away and has daily flights and connections to Sydney, Brisbane and Melbourne. Don’t have a car to get to the airport? No problem! Catch a lift with Whitsundays 2 Everywhere, Airlie Airport Bus, on just hop onto a local Whitsunday Transit bus service. Hamilton Island Airport offers stunning views to guests arriving and departing from the airport. Here, you can jump on one of the direct daily flights to Sydney, Melbourne, Brisbane and Cairns. This has got to be the airport with the best landing and departure view in the whole world! You have to see it to believe it! Access to the mainland is via the Cruise Whitsundays ferry, which services every arriving and departing flight. Flights to our local airports are serviced by Jetstar, Tigerair, Virgin Australia and Qantas. The number of flights to the area just keeps increasing year after year! If you prefer to arrive in style, you can breeze in via your own private jet, helicopter, light aircraft or seaplane – how’s that for being spoilt for choice! So what are you waiting for? Now you know where Airlie Beach is, you have no excuse! Jump online, book a flight, pack your bag with your swimmers, sunscreen and camera, and come and discover what the heart of the Whitsundays has to offer you for your next adventure.